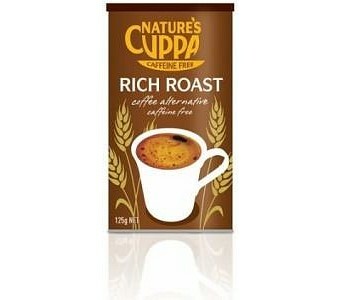 Made from all genetically non-modified ingredients that have no caffeine - roasted barley, rye, chicory and malt - Nature's Cuppa's Rich Roast is the instant healthy coffee alternative. You'll love its smooth, rich roast flavour and coffee like aroma. Naturally and completely caffeine free, you can drink it anytime, day or night.